What makes a plant wilt when it needs water, and “come back to life” when it receives that water? Find out with this simple investigation. 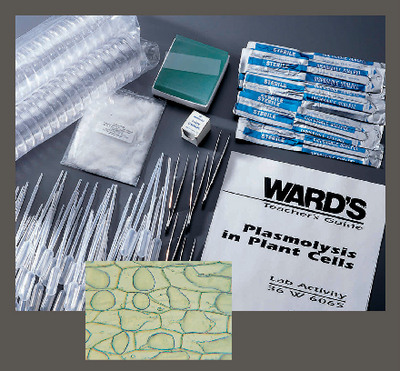 Using only an onion you supply and this kit’s materials, students can easily see the effect of varying osmotic conditions on plant cells, and learn the importance of water to a plant’s structure. It includes enough materials for six setups, a teacher’s guide, and student copymaster.